Are you lax when it comes to changing the locks at your rental properties? 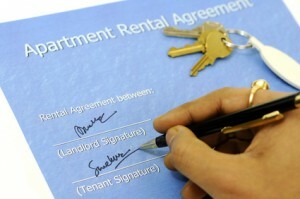 Many landlords are, especially in single-family rentals. But that’s a bad practice, one that can lead to injury — and income loss for landlords. 1. Make sure the locks are operating properly. The key is of little value if the lock is vulnerable to break-ins. 2. Use a check-out or inventory system to track the current location of all keys. Note how many keys are given to entering tenants, as well as any keys provided to workers. Note the time a key is returned. This system can discourage workers, vendors and employees from carrying keys around longer than necessary. 3. Always rekey the locks for a new tenant, even if the previous tenant returned all of the keys. 4. Stress to tenants the need to keep track of keys, and to avoid handing them out to friends, family, workers, and house sitters, or leaving them hidden around the property. 5. Be responsive when a tenant loses a key or is locked out. If tenants wait too long for assistance, they’ll be more likely to make an unauthorized duplicate or to leave a spare sitting around. 6. Keys should be protected with as much diligence as tenant files and other sensitive data. Keys should never be available in the main leasing office. Workers and employees should be educated, and if necessary, disciplined for careless handling of keys. 7. Password keypad locks are one way to reduce the cost of frequent rekeying, and these devices minimize the number of people who need to touch keys. The code can be changed temporarily to accommodate workers or house guests, eliminating the need for duplicate keys. Some keypad models recognize more than one password, which allows for a “master” code. 8. Collect the keys from exiting tenants in person at the move-out inspection so that former tenants are clear that they cannot get back into the unit or common areas. 9. Inform tenants that they do not have the right to change the locks or passwords so that the landlord cannot gain access to the unit. 10. Don’t mark keys with tenant names, addresses, unit numbers or other identifying information. If necessary, use a coding system where names or unit numbers are on a separate list that is located apart from the keys.